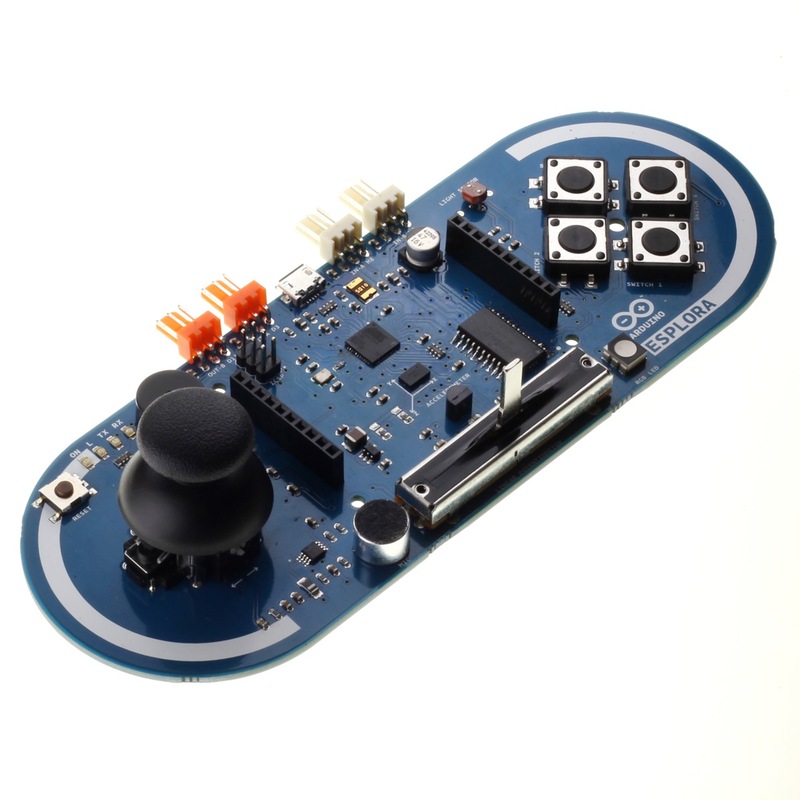 The Arduino Esplora is a fun new game controller-shaped microcontroller board derived from the popular Arduino Leonardo. The Esplora has onboard sound and light outputs, and several input sensors, including a joystick, a slider, a temperature sensor, an accelerometer, a microphone, and a light sensor. 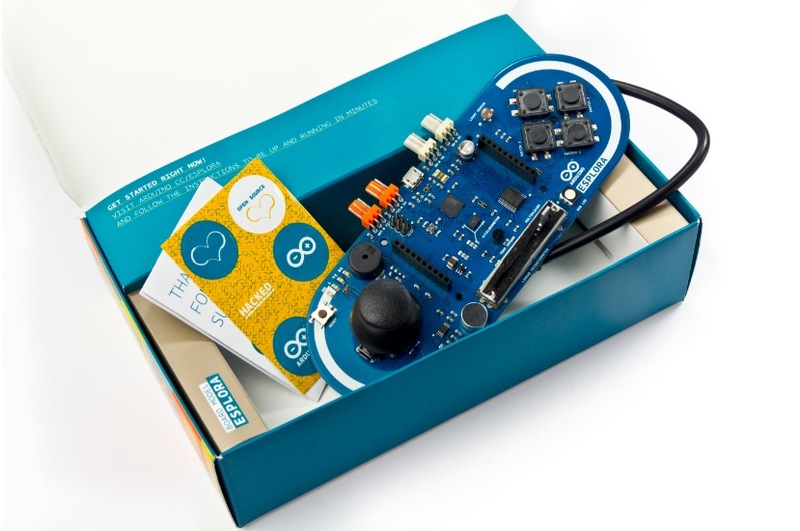 It also has the potential to expand its capabilities with two Tinkerkit input and output connectors, and a socket for a color TFT LCD screen.